I found this mini-rose fall survivor this week. 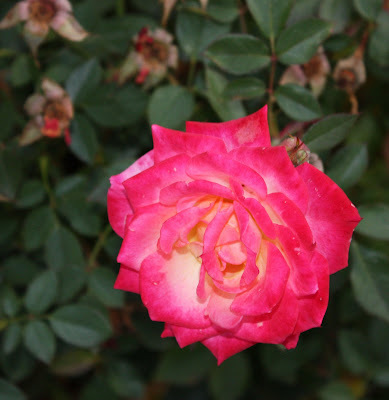 The color of this particular rose is never this bright in the summer. It becomes this bright with the cold weather.